The saying “prevention is the best medicine” rings especially true when it comes to maintaining your teeth and gums. 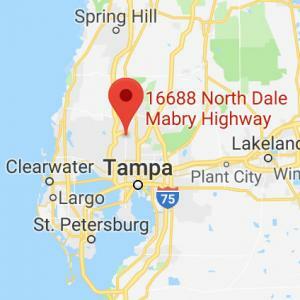 In caring for your child’s smile, our dentist and our team emphasize the power of preventive dentistry at our convenient Tampa and Lutz, FL practice. We can educate you and your little one about the importance of routine dental appointments and proper home care for a clean, healthy, beautiful grin. Preventive dentistry is the best way to avoid painful, expensive dental procedures, since it stresses at-home dental care and regular visits to help your child avoid the struggles of decay and other oral health issues. Contact All Children’s Dentistry today to learn more about preventive care or schedule your child’s next appointment with us. Taking care of your child’s teeth requires daily diligence. Thoroughly cleaning your youngster’s teeth and gums at home can establish good dental habits and set the stage for a lifetime of healthy smiles. Your child should brush his or her teeth for at least two minutes at least twice per day. You can begin cleaning your youngster’s teeth as soon as his or her first tooth erupts during infancy. Proper brushing technique involves using a soft, nylon toothbrush with round-ended bristles. You or your little one should place the toothbrush at the gum line at a 45-degree angle to cover the tooth surface and the periodontal tissue, then move the brush in a circular motion gently scrubbing away any plaque from the surface of the tooth and the gum line. Patients should be sure to brush the insides and outsides of all teeth, including the hard to reach back molars. It may be helpful to use a timer to ensure that your youngster scrubs his or her teeth for the full two minutes. You can also use music or mobile device apps to make tooth brushing more fun. In addition, you should gently floss your little one’s teeth at least once per day (at age six or seven, your youngster may begin flossing his or her own teeth). Many children (and adults) skip flossing because they do not believe it is important, but this is the only way to remove debris, plaque, and bacteria from between the teeth and beneath the gum line. To properly floss his or her teeth, your child should use an 18-inch strip of floss wrapped around the middle fingers of both hands. He or she should insert the remaining two inches of floss between each tooth, using his or her thumbs to direct the movements, gently removing potentially harmful plaque from the spaces between the teeth and under the gum line. Your child should also rinse with antibacterial mouthwash whenever they are able to rinse and spit consistently. 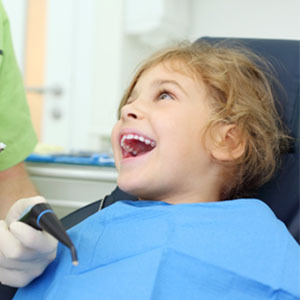 Attending biannual checkups is key to maintaining your child’s dental health. You should begin bringing your little one to see us every six months as soon as his or her first tooth comes in. During these appointments, our dentist will assess your youngster’s mouth for any signs of dental health issues, such as cavities or periodontal disease, so we can treat these before they become more complex or problematic. She will also screen for oral cancer, giving you peace of mind and safeguarding your youngster’s overall wellbeing. Next, our dental assistants will thoroughly clean your child’s teeth and gums, removing any plaque, tartar, and debris.